Over the years we have collected breastfeeding memoirs from our readers. Our goal is to share the many different ways that mothers breastfeed, each story highlighting different challenges that may arise and how mothers are resilient and determined to find success, whatever that may look like to them. This August, in honor of the 2017 World Breastfeeding Week’s theme, we are sending out a call for YOUR breastfeeding memoir. Would you like to share your story so that another mother may find support from and connection to your experience? Did you overcome a challenge? Did the support of another person help shape your breastfeeding experience? We will be collecting breastfeeding memoirs from August 1 - September 15, 2017. All selected memoirs will be posted on the SDBFC website’s blog and be considered for inclusion in an upcoming breastfeeding book! 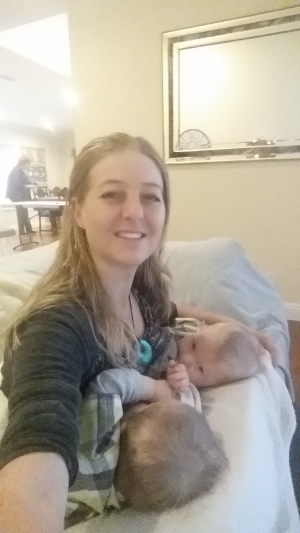 There are so many online stories of moms feeling like they’ve failed…. Let’s flood the Internet with stories of triumph! Newer PostAwesome Opportunity Drawing at the San Diego Big Latch On Event!